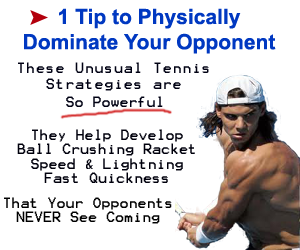 the muscles responsible for firing during both a one handed and two handed backhand. 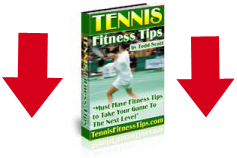 If we get 50 Likes to this post, you’ll get the next workout in the series that focuses on your Forehand. So make sure you click one of the “like” buttons located at the top bottom of this post! How to do it. Complete workout in circuit fashion. Start with exercise #1, complete the prescribed reps. Immediately move to exercise #2 without rest. 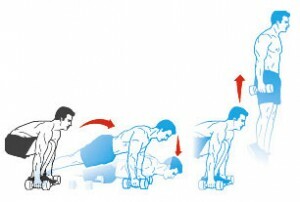 Continue without rest through exercise #6. Rest 2 minutes, and repeat for a total of 4-6 sets. 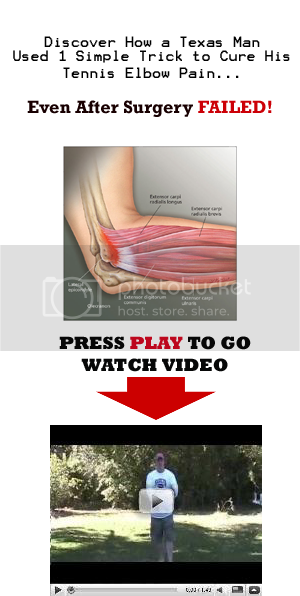 Here’s an email I got in just the other day from Larry about his golfer’s elbow pain. What worked, what didn’t, and what he considers the most stupid idea ever about helping his elbow pain. None of these worked… well the cortisone worked but only for a few weeks. The reason I say stupidest was cuz I have no experience with cortisone and didn’t quite understand that it was masking the pain… I thought it was acting as a topical anti-inflammatory. After a couple weeks, the pain rushed back on me way worse than before… of course because there wasn’t much pain I had been way over using the arm… so that made it much worse… so cross cortisone off my list of things to try. it’s been almost a week that I’ve been doing the exercises and while I’m notsaying the pain is gone… it is really reduced. I still don’t dare get back in the water… or back out in a rowing shell… but I am daring to think that I might again someday… I really do miss both of these activities. it’s not just gonna go away over night… but still… I want it to. and also to express my gratitude to you for discovering this … and I’m further grateful to you for not keeping it to yourself. If you’ve gotten the latest issue of Tennis magazine, there’s an awesome write up about 21 year old Kei Nishikori, his tennis history, and his tennis aspirations. Currently Kei Nishikori is ranked #48 in the World. Once he moves up 3 spots to #45, he’ll make history by being the highest ranked Japanese player in the world – Ever. But I guarantee he won’t stop there. He’ll be in the top 2o by this time next year, if not higher. Check out the video below. Kei Nishikori Forehand and Backhand during warmups against Ryan Sweeting at the U.S. Men’s Clay Court Championships. He used this the entire match which he won in 3 grueling sets. Without being in phenomenal conditioning, he most likely wouldn’t have been able to be fast on his feet like this the entire match. The Importance of being able to ward off fatigue during a match is just as important as perfect strokes. Because when we’re tired, even the slightest movements like this will take a toll on our energy levels, and we’re gonna be served more aces & we’re gonna make MORE errors. Which in most cases will cost us the match.